In case of any issue, they can bring the handset to respective service centre as all our mobile phones are covered by 1 year manufacturer warranty(unless stated *export set* which has no local warranty) from respective agent by Apple, Oneplus, Nokia, Samsung, Huawei, Honor, LG , Xiaomi and Used Phones.For service centre location, you can find them on each respective brand official Singapore website. 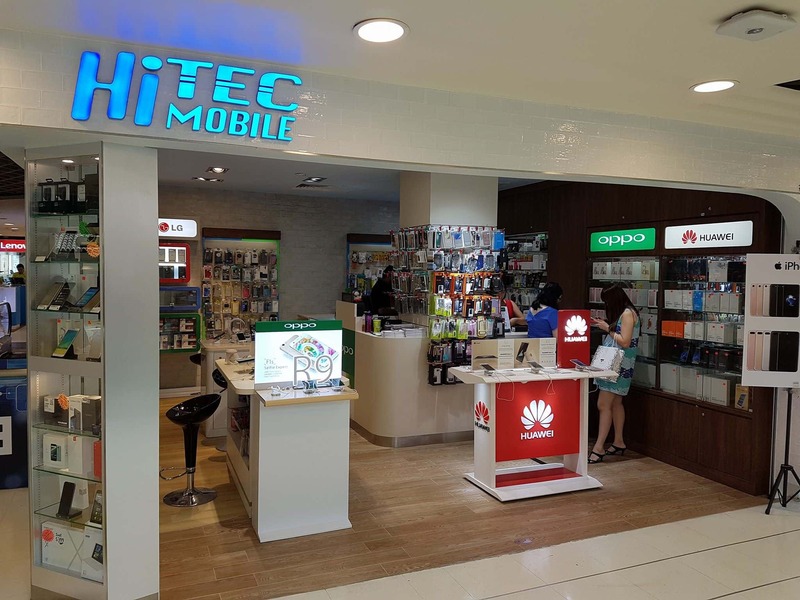 If you are setting up a mobile phone business or have an existing business in mobile phone trade,u can call or email at admin@hitecmobile.com.sg with ur company name & address.We will open a wholesale account for u & supply u with accurate market value. Q1 - Where is your shop & what is ur shop opening hours? A1 -We have our very own physical shop located at Bugis Junction #03-24 near Bugis MRT station.Our shop opens daily from 11am - 9pm.Alternatively,u can call us if u need to collect earlier or later. Q2 - Why is your price so much cheaper compare to other major well-known retail shops? A2 - We have minimal advertising cost. The majority of our clients comes from referrals & online prospects unlike most of the telcos or electronic shops which spend a fortune on advertising for sales. The bulk of expenses on advertising we save is pass to our valuable clients. Q3 - For tourist, are they able to get back GST from the airport? A3 - Price listed on website are priced after GST refund, meaning no more GST rebate from the stated price.Compare to other megastore or major brand flagship store, we are still 15-25% cheaper than them. Q4 - What is the mode of payment? A4 - For Walk-in purchase, we prefer Cash and Carry, so please withdraw from nearby ATM(Basement 1 for DBS and Level 2 Bugis+ for UOB) before heading to our store. Do take note that there will be 1% transaction fee for Nets. Q5 - Do u keep stock of all the product listed? A5 - We do keep almost all of the product listed except those which are slow-moving item, feel free to call us at 6336-3017 to check on other product not listed. Q6 - Do u accept trade-in of used or new sign-line phone? A6 - Yes, we accept used or new phone. U can check out our trade-in phone page for more information on models and prices. Q7 - Are the product listed comes with a warranty? A7 - We take pride in selling all of our product with manufacturer warranty for 1 year, otherwise stated export set is with complimentary 1-month shop warranty for product assurance. Q8 - Do u provide home delivery service? A8 - Our supported courier service for islandwide delivery is Ninja Van. However, we only will send orders made through Shopee whereby an additional fee of $6 for all product applies. Q9 - Do u accept credit card installment? A9 - We have credit card instalment facility on our machine for customers who wish to pay monthly instalment from 6-12 months. The credit must be from UOB, Maybank, Diners or HSBC with additional one-time card fee of 4% for 6 months & 5% for 12 months although there`s no additional monthly interest from the bank. Q10 - Do u accept Credit Card payment online? For foreign Credit Card, we regret to inform that you only can use our in-shop card terminal machine at 3% extra charge due to inter-bank overseas charges. Q11 - What if i change my mind and decided to ask for refund before leaving the store with the goods? A11 - We only allow refund through Online Credit Card payment in the form of chargeback to your Visa/Mastercard account. For Grabpay, Nets or Cash payment, we will refund you by cash. We regret to inform all customer that item are bought out of the shop, we will not entertain refund. After sales service/repair are to refer to respective manufacturer as we are not the service centre nor the repair partner. Q12 - Can i request for refund of purchased item without any valid reason? A12 - Once box open or seal broken considered sold, you may resell back to us at trade-in price at our trade-in page.